It was 1979 and Michael Jackson was at a crossroads. The dynamic lead singer for The Jacksons was only 21 years old, yet he was already a Motown-seasoned star with 10 years of professional recording/performing experience under his belt. But Jackson wanted more than just stardom. He thirsted for superstardom, and on his own terms at that. Toward his goal of shedding his teenybopper image, Jackson teamed with legendary producer Quincy Jones to record a make-or-break solo album, his first as an adult, titled Off the Wall. The LP would feature three original compositions that Jackson hoped would earn him entry into the pantheon of trailblazing R&B singer/songwriters, including James Brown, Stevie Wonder, Marvin Gaye and Sly Stone. Having charted a fresh musical direction for himself, only one thing remained unresolved — he needed an image that would signal his newfound maturity to the world. Now celebrated as one of the greatest albums of all time, Off the Wall has sold more than 8 million copies in the United States alone. The LP made Jackson the first solo artist to have four singles from the same album peak on the top 10 of the Billboard Hot 100 chart. The single Don’t Stop ‘Til You Get Enough nabbed the singer his first Grammy Award for best male R&B vocal performance. 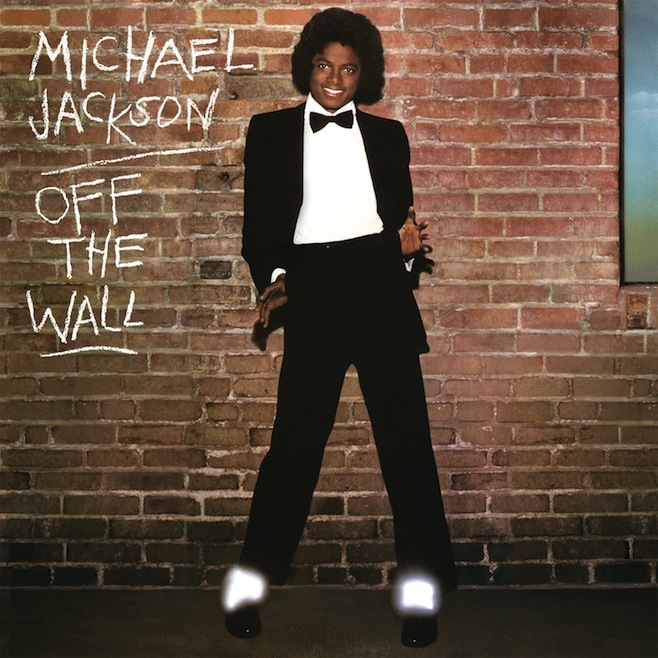 The black-and-white style featured on the cover of Off the Wall helped fuel Jackson’s quantum leap to superstardom. The singer employed the style for his breakthrough music videos, including Don’t Stop ‘Til You Get Enough and Billie Jean, as well as for his definitive Motown 25 television performance. In all, Jackson would tap the style for the entirety of his solo career, until his death in June 2009. Mike Salisbury: Up to that point , I had branded Rolling Stone, and I’d been creative director at three or four advertising agencies, as well as at Warner Bros. Records. But I had never branded a person. That changed after I saw Michael in The Wiz. I was impressed by his persona. He was a star! He outshone everyone in the movie, despite the fact that he was holding back. So I contacted his agent and said, ‘Michael Jackson is going to be the biggest music star ever, and I want to help!’ So his agent invited me over to his office. MS: Michael’s agent had an album cover mock-up for Off the Wall, and it was horrible. It was him sitting on a little log by a campfire with children’s clothes on. It looked like an ad for Sears’ children’s department. So I say to the agent, ‘Let me get back to you,’ and I got a fashion illustrator to do a drawing of my concept for Michael. I go back to the agent, point to the fashion drawing and say, ‘See! I put him in a tuxedo! It’ll be his brand mark — black and white!’ The agent looks at the drawings, and I could tell he didn’t like them. Then, this little voice squeaks up from out of nowhere: ‘I like it.’ It was Michael! The whole time, he was behind these big velvet drapes, listening. He thought [the drawing] was fine. He only requested one change. He wanted white socks. MS: We agreed that Michael would wear loafers, like Gene Kelly wore in An American in Paris, with the white socks … I eventually found a tuxedo that fit him, a woman’s tux. My wife got it at the Yves St. Laurent store in Beverly Hills. I didn’t know if it would fit, but my wife knew. She knew all that stuff. SH: The day of the shoot, Michael drives up in a Rolls-Royce. He was by himself, no entourage or anything. He was so small behind the steering wheel, I could barely see him. MS: It was Michael’s idea to shoot at Griffith Observatory, because that’s where they shot the knife fight in Rebel Without a Cause. We were under a time constraint because we had no permit to shoot there, and rangers patrolled the place. The men’s room was locked, but the women’s restroom was open, so Michael runs in and puts on the tux. SH: Michael comes out with the makeup artist and the stylist, and we start shooting. The sun’s going down, and it’s beautiful. We stand him against this white, art deco half-wall, and I light him so that the sunset is really dark and rich in the background. MS: It was lifeless. Michael just stood there. There was none of the entertainer, with all the energy and the performance bravado. We didn’t want to give him a lot of direction, because we were afraid of how he might respond. MS: We went to Michael’s place, and there’s this statue replica of Donatello’s David in the foyer, and immediately I go, ‘That’s what we need — attitude and style!’ So I say to Michael, ‘Look, we gotta redo this shoot’ and he was very receptive. We go to Steve’s studio, and Michael gets outfitted again. We put him up against a backdrop, and again, it didn’t work. He just wouldn’t animate. So I run out of the studio, down the alley, and I see this brick wall with a loading dock. The day of the shoot, Michael drives up in a Rolls-Royce. He was by himself, no entourage or anything. He was so small behind the steering wheel, I could barely see him. SH: It was Crossley’s Flowers in Los Angeles, a few doors down from my studio on Beverly Boulevard. A lot of people think that cover was shot at the Farmers Market on Fairfax, but that’s not it. MS: I grabbed Michael and got him up on that dock, because I thought it looked like a Broadway theater back door. Very theatrical. SH: The camera was a Hasselblad hand-crank. It didn’t have a motor drive, so every time that I shot, I had to stop and crank to the next exposure. It was crazy. SH: It was two rolls of film, 12 exposures on each. I used a portable strobe on Michael, a Norman 200B. I still couldn’t see very well. This was before autofocus, so somebody was holding a flashlight [on me], so I could focus on him. MS: Then I said, ‘Give me a gesture, like that David in the foyer back at your home. Now smile!’ The whole thing took maybe five minutes. SH: So we get film back, and the first thing I notice is that I cut off the top of his afro. And I’m going, ‘Oh, my gosh! I can’t give this to [Salisbury]. So I had my stylist take the film up to Mike for me. She later told me that he asked, ‘How come you cut off the top of his head?’ And my stylist replied, ‘Oh, that’s just one of Stephen’s techniques. When you do that, you go directly to his eyes!’ And that’s the shot that ended up being the cover! MS: I was presenting Michael as a major person, as you would see Frank Sinatra in a tuxedo in Vegas. He was this kid just out from under his father, so the tux was a metaphor for maturity. SH: People still bring that cover up in conversation. I’m so glad I got that shoot instead of Randy Newman. It was a stroke of luck. MS: A guy that taught at Harvard interviewed me once, and he said [Off the Wall] is the No. 1 thing I did in my career. I guess I’ll take his word for it. 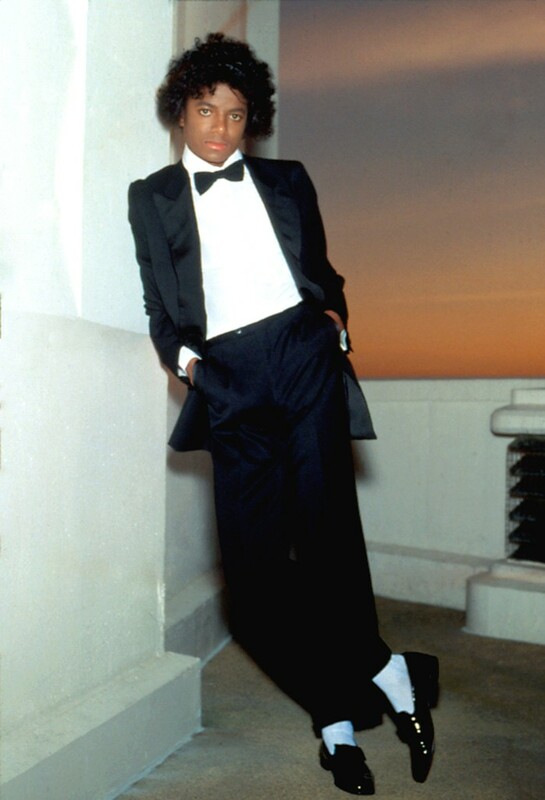 SH: Even if I hadn’t have shot it, Off the Wall would still be my favorite Michael Jackson album cover. That cover — it’s his personality! It’s his element, his moves. I mean, that’s him! That’s Michael Jackson!